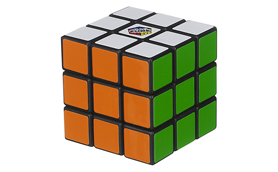 The 2×2 is an unusual version that offers new challenges, while appearing easier than the 3×3 Rubik’s Cube. 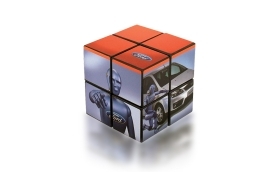 Each square section is larger than on the 3×3, giving you more flexibility to print your visuals. 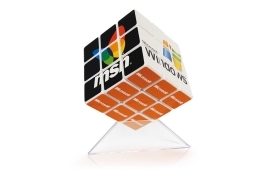 This compact Rubik’s Cube 2×2 is an unusual version that’s especially adapted for your very large marketing campaigns and mailings. Don’t let its simpler design fool you: its unusual look is sure to surprise and delight your customers. 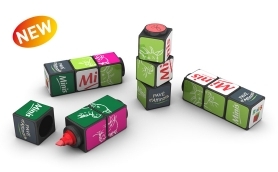 Mini version of the iconic 3×3 Rubik’s Cube, this model is a useful and portable accessory. Easy to carry everywhere, it gives exposure to your brand and message. It is the perfect item for large volume campaigns as it offers fantastic value-for-money. Keeps your desk tidy and stimulates your creativity all day long. 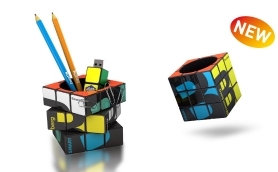 With its twist-able blocks, the Rubik’s Pen Pot will make a strong statement about creativity, cleverness and challenge for your organization. 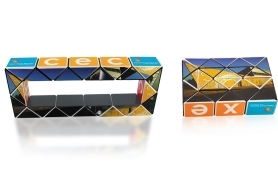 Full customizable on all 6 sides, and equipped with 2 rows of magnets to store your paperclips. 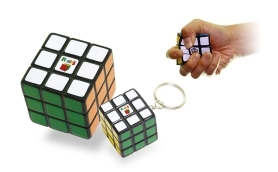 Featuring the same size as our Rubik’s Keychain, all 3 layer can rotate independently. 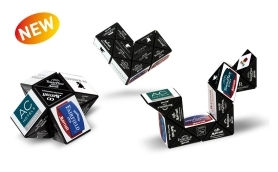 A distinctive premium item from Rubik’s for your large campaign. This Individual highlighter is perfect to use as a premiums, seminars, trade shows or for high-volume campaigns. 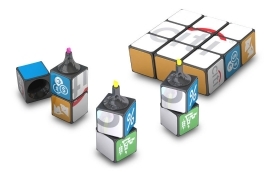 The new and fun Rubik’s item fits in your pocket while giving the playfulness of the Rubik’s 3×3, with rotating middle-block. Features LED light, with a reflector for more shininess. 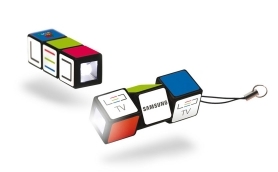 Much more than a puzzle, the Twist sharpens your imagination. There are no limits to the shapes you can make. Turn a snake into a swan, a bat into a ball, all with just a few twists of your imagination. And, best of all, there’s no “right” or “wrong”! Each block can be printed in four colors. 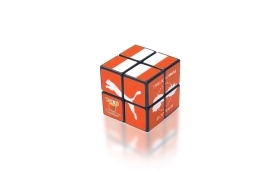 Like with the original Rubik’s Twist, let your creativity flow and create amazing form. Turn a snake into a ball into a heart, etc, all within just a few twists. Offers 36 imprintable labels in total. 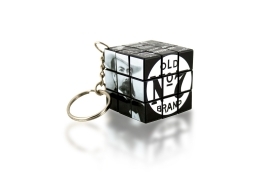 Take the spirit of Rubik’s everywhere with you. 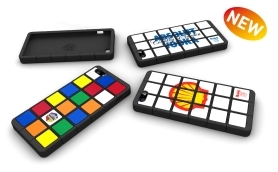 This case has been designed after the iconic Rubik’s Cube that has inspired so many designers, artists, film makers and millions of “Cubers” around the world. 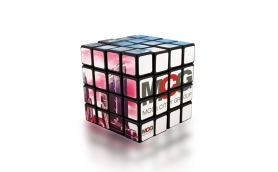 Made of silicone material and including the original Rubik’s® logo engraved on the inside of the cover. Customizable with your own logo. Also available in iPhone 4S version. 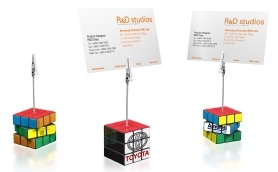 The latest version of the Branded Rubik’s Cubes, it is a symbol of a new challenge, pushing the limits of design and imagination. This amazing version will surprise your target and make your brand and message unforgettable. 96 stickers are available for your branding, logos or artwork. This Rubik’s Cube’s base color can be either black or white. Squeeze away stress, activate brainpower. Engaging and visible! One minute the Squeeze Ball sits on the desk, the next it is in the hands. Printed with your logos on the white face. 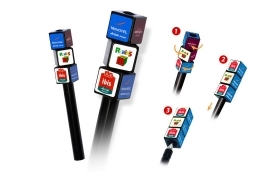 The Rubik’s USB is easy to use: just twist the top block and plug it in. 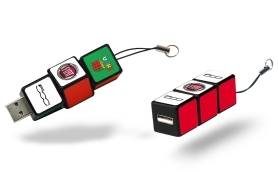 The unique design of the Rubik’s USB will make your brand stand out from the crowd and other standard USB drives, letting the power of Rubik’s brand work for you! By using only top quality USB 2.0 memory chips, we offer an extensive range of possibilities including preloading content, autoruns and automatic links to your website. 1A, Banjo Street, Surulere, Lagos, Nigeria.